Alright. You got the quick guide. So now let's roll up our sleeves and break down each of these ideas! To help give kids a firsthand experience to this process, try making your own art supplies together! Cutting, mixing, melting, cooking, combining, problem solving..... they get to be a color scientist! 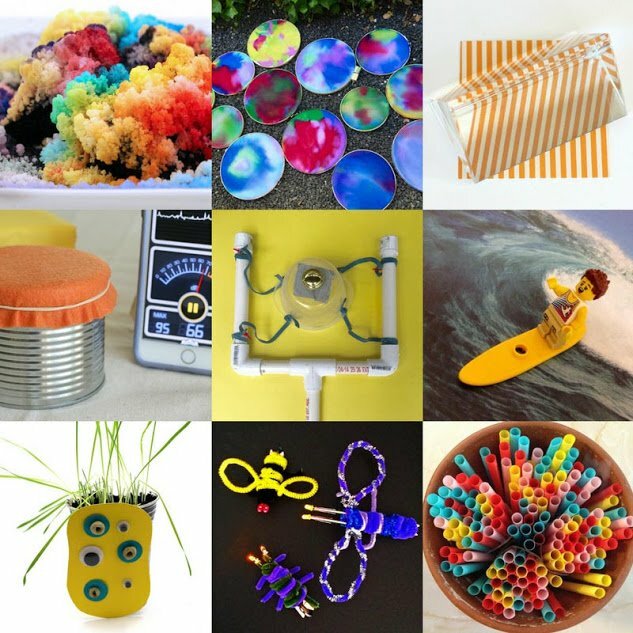 With a little bit of science, technology, engineering and mathematics know-how, you can create any of these art supplies from everyday materials! Cardboard and Soda Can Cars that Drive themselves! Origami is such a beautiful art form. You use your creative, artsy side to fold and manipulate a simple flat sheet of paper into something entirely different. You also explore math ideas like geometry in an intuitive way. And, did you know that origami even inspires NASA scientists to think about solar panels in a different way? 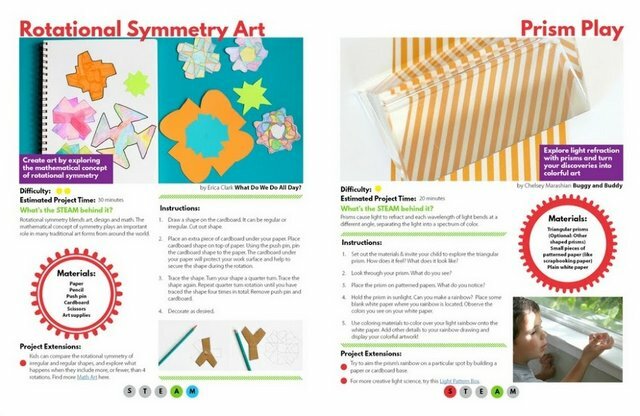 We've got tons of unique and cute origami projects! Phew. That was a long list. Want more? Awesome. I'm so glad! Hopefully you try out a couple of the projects above and find yourself really enjoying the whole process with the kiddos. 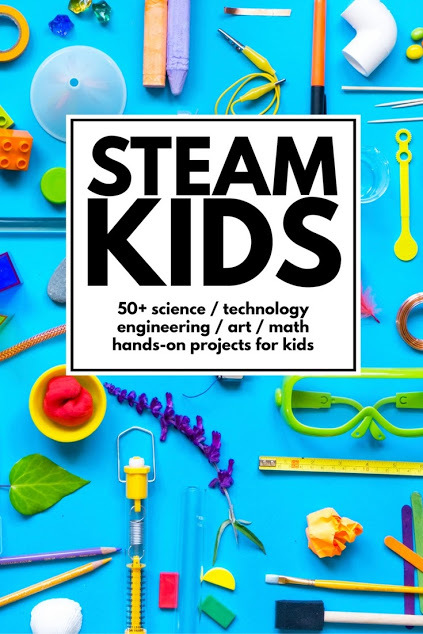 And if you're looking for even more ideas... then I definitely recommend you check out this AWESOME NEW STEAM book for kids! 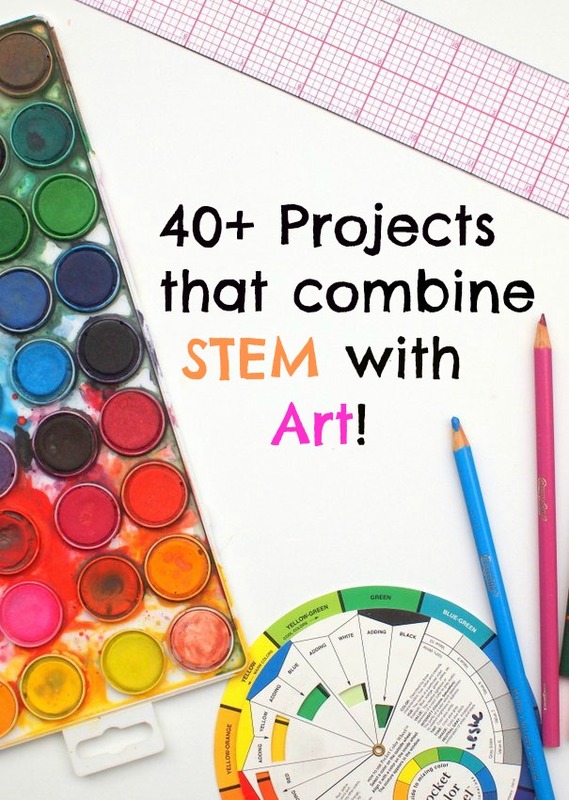 It's packed to the brim with over 50 hand-on projects that you can do with the kids... right now. This book is a collaborative work of love by several STEAM-loving bloggers . We're engineers, homeschoolers, educators, designers, and moms who put together over 50+ fun activities for kids 4-10 years old. Our goal is to excite and motivate kids to explore STEAM ideas in a hands-on-way. You can visit Amazon to purchase a book today! Or, if you prefer, you can also purchase an e-book version!